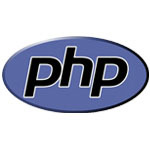 We are prominent PHP Web Development Company situated in India. We have excellent domain expertise in open source development to provide best services for PHP development as well as open source development. KrishmanTech facilitates excellent support in iPhone application development, and is a perfect place for all your iPhone requirements. We have already started working on iPhone Application development and have good amount of experience into it. iPhone is increasingly becoming popular in mobile phone arena and keeping it into consideration we have started working on application development services which are focused to satisfy growing needs of iPhone mobile users. Our expert iPhone developers do complete research and analysis of Customer's requirements and only then as per current market trend develops a unique application which distinguishes you from your competitors and improves your business. We completely follow iPhone SDK guidelines to deliver iPhone applications which adheres iPhone standards. KrishmanTech also facilitates services of updating existing mobile applications to iPhone compatible applications. Our expert iPhone developers have capability to develop custom iPhone applications from scratch as per customer's requirements. We provide custom iPhone apps development services which are qualitative. In first step requirements are thoroughly analyzed well before developing an application. This can guarantee to provide best work and makes us the best choice among iPhone application maintenance companies. KrishmanTech also offers entire team of dedicated iPhone developers to their customers who are not having adequate resources for their own iPhone application development. Our iPhone developers with their thorough knowledge in iPhone SDK, experienced and extraordinary development skills can surely become a right choice for any of your iPhone needs. � Copyrights Krishmantech. All rights reserved.